Nestled in the heart of the peaceful village of Penshurst, in an area of unspoilt countryside in west Kent, lies an enchanting, authentic medieval manor house. Penshurst Place is quintessentially English – romantic, classic and elegant with a rural feel. For nearly seven centuries, this characterful home has played host to lavish entertaining, chivalrous acts and notable historic events. For more than 465 years Penshurst Place has been, and remains, the much loved and treasured home of the Sidney family. 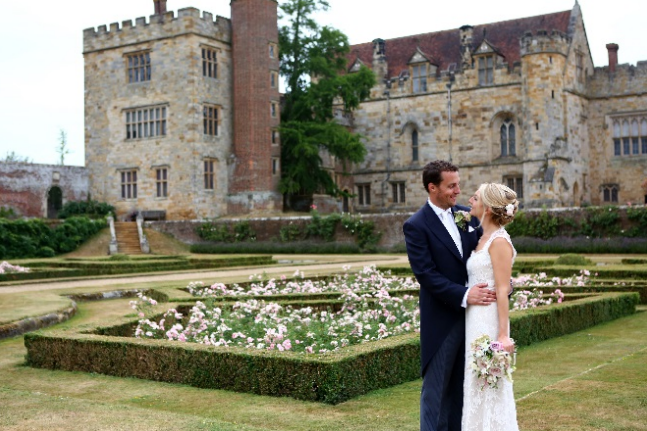 Today, Penshurst Place, with its beautiful unique rooms, glorious gardens and exquisite hospitality, opens its doors to couples wishing to celebrate the start of their married lives together. Are you looking to marry soon? We are currently offering a fabulous discount of £20 per person off our fabulous packages for weddings hosted between 2nd June and 14th October 2018, plus a complimentary glass of Prosecco for each guest during your drinks reception or toast. As well as selected other days of the week. Have the choice of hosting your ceremony within the medieval Sunderland Room or outside in the secluded Inner Courtyard, before making the most of the beautiful Tudor gardens for your photographs. Your wedding breakfast can be hosted in the magnificent Baron’s Hall. As the sun goes down, lit by candlelight, this historic room is truly breath-taking for celebrating into the night. 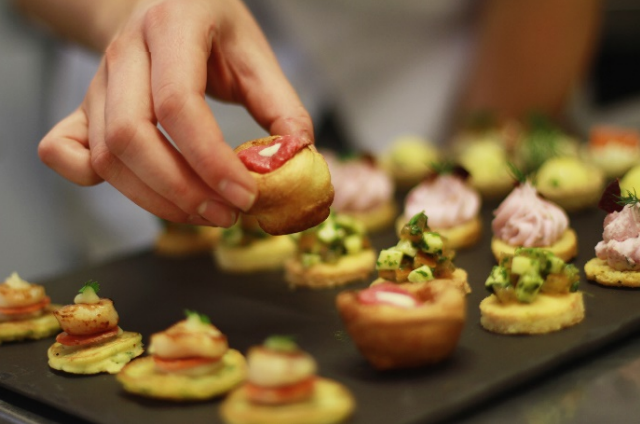 Our exclusive caterer, Kudos, create wedding menus that provide a delicious balance of dishes; encompassing seasonal fresh produce combined with exemplary and award winning service standards. Their chefs love nothing more than using locally sourced ingredients from quality suppliers to celebrate Kent’s fabulous seasonal bounties and to fuse these with Penshurst Place’s own home-grown delights. By working closely with you on menu content, Kudos can advise on wine pairings from a vast cellar list and craft mouth-watering dishes that will both excite and satisfy your guests. Well ahead of your special day, you will be invited to attend a tasting session to sample your chosen menu and wines and discuss the finer details of your day. Drop us a line to find out more about our availability and discuss your wedding plans!